The creation and publication of organizational charts that are updated in real-time was a new challenge for the organization department of the Bayerische Versicherungskammer (Bavarian Insurance Chamber). Following the successful implementation of the chamber’s organizational structure within the PeopleSoft HCM personnel information system, no visualization capabilities for the generation of organizational charts were available yet. Tedious and extensive manual preparation in MS Visio was thus necessary. Using Ingentis org.manager, it was possible to enable fully automated creation of up-to-date organizational charts that are accessible on a company-wide basis. The flexible Ingentis org.manager interfaces enable quick and straightforward data integration with the PeopleSoft system. Now organizational charts are automatically updated from PeopleSoft HCM in line with costing and communication systems prior to publication on the Intranet. Using this new streamlined process, it was possible to achieve a measurable return on investment within a short period of time. 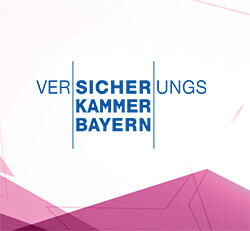 The Versicherungskammer Bayern has a total of 14 individual member organizations and is the largest public insurance provider in Germany with approximately 6,500 staff. The product portfolio offers general insurance coverage for persons and property. The Versicherungskammer Bayern’s customers benefit from problem solutions that are based on traditionally long experience. The Versicherungskammer Bayern is part of the savings bank association and comprises more than 3,000 savings bank branches, about 600 insurance agencies and 250 agency banks, thus providing a nationwide distribution network in Germany. department. The idea was to seamlessly combine the new org charting solution with the PeopleSoft HR system to create org charts based on the available HR data. “The integration into our system environment was a decisive feature for us. After all, what we were aiming at was to replace our complex manual creation process using MS Visio and to ensure the organizational charts are updated on a daily basis”, Volker Meyer describes the objective. “What convinced us of Ingentis org.manager were the wide feature range, the extensive configuration capabilities, the user-friendly operation and the efficient interface operability that facilitated integration in our system environment”, Volker Meyer explains. By automating and centralizing the organizational chart creation process, it was possible to enhance the overall efficiency of the processes. “The organizational charts that are available on a companywide and up-to-date basis have enabled us to speed up our internal communication processes and to enhance their quality at the same time. Within seconds, it is now possible to access roles and responsibilities for the entire staff of the company and to prepare them visually while ensuring consistency with the data that is stored in the information and communication systems,” Michael Eder says about the optimized transparency of the information processing steps. The seamless integration of Ingentis org.manager in the system environment of PeopleSoft and the “swiftly achieved usability and efficiency enhancements are convincing. In the future, we are planning to add more information to our organizational charts and we will make use of the various controlling features of Ingentis org.manager”, Volker Meyer describes their future plans.